Thickness Select 1" 2" 3" 4" 5" 6" 7" 8"
Dimensions between 1/4" increments will be rounded up to the nearest 1/4"
The largest solid thickness available is 6". Please be aware that, when ordering a cushion at a greater thickness than 6", it will be made from two pieces of matching foam glued together to achieve the desired thickness. 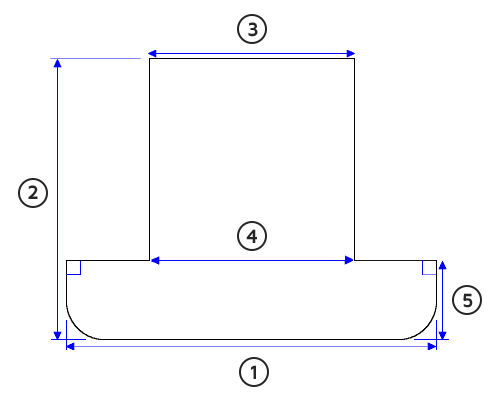 Up to and including 6": Cushion will be made from a solid piece of foam. Over 6" up to and including 8": Cushion will be made from two pieces of the same foam that will be glued together. There will be no additional gluing charge in this instance. For cushions over 8" thick or containing layers of different foam types, please Contact Us. Custom-cut cushion foam has a dimensional tolerance of 1" for length and width, and 1/2" for thickness.